My interest in historical information is just a hobby of mine, it's not my living. So I give it away as soon as I find it. And I do that by posting stuff on the web. I get a big kick out of learning stuff, and consider it payment enough if people help me, which they do. I started thinking like this when I started working on my family genealogy, twenty years ago. When the internet was invented, I noticed that it made things so much easier to communicate with people elsewhere on the planet, and compare notes. Understanding history is sometimes like doing detective work, you are always looking for that one clue that will lead to more understanding. And the currency of this exchange is just a please and a thank you. Many times someone can help you simply by telling you that a street name had changed. And most of the time the favor can't be directly repaid, so you go looking for someone else to help. I call this "linear kindness". Unfortunately, not everyone feels this way. In fact, a lot of people are unwilling to share their hard-earned information. After doing research, or finding an old photo, they write "copyright" all over everything, and defend their material against anyone else who might use it without their permission. I guess I can understand people being offended by seeing their stuff end up on a pay site somewhere, or in a book that is earning money. But many people, like me, aren't doing it for the money. In fact, most people aren't. And I've been saying for a long time that my greatest wish is that the precious history that I have been fortunate to find continues to live, and be shared. And I don't care if someone prints it in a book, or puts on a website, or makes T-shirts with it. I only care that precious history doesn't get lost, thrown in the trash, or forgotten. I don't know why I care so much about this, but I do. That being said, I'm a Graphic Designer and Illustrator, and I respect copyright. So if you have written "copyright, all rights reserved, this means you" on historical stuff that you have found, I will respect it. But I wish you wouldn't. Please take those words off, and share. 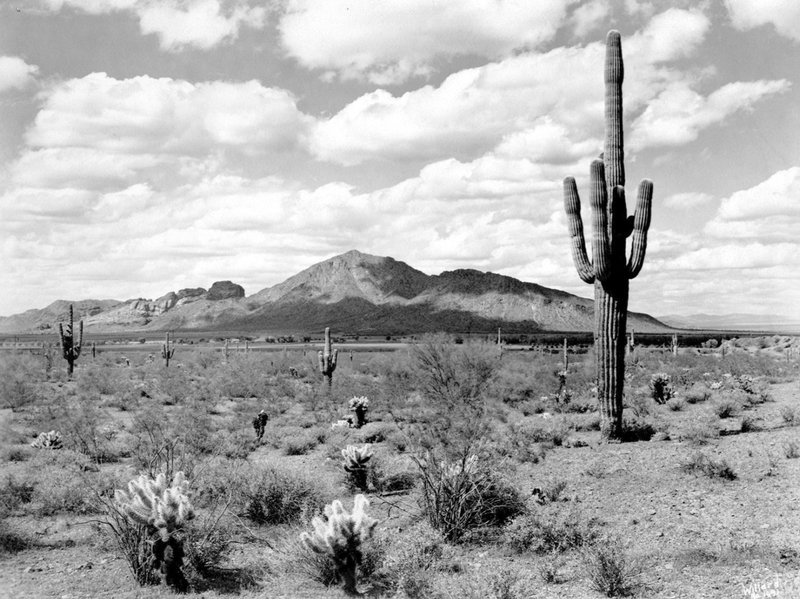 Photo above: Camelback Mountain in the 1930s. The image is public domain. That means that you don't need my permission, or anyone else's, to use it. Share it, repost it, put it on your website. Just don't lose it, please. Thank you. You ain't kidding. You should see what ASU's archives, the State Library, the Arizona History Museum, and the Phoenix Public Library restrict you from doing. I'd welcome private copyright assertions—individuals are usually pretty easygoing about obviously non-commercial use. Yes! I'd like to think that they mean well, but I always see the last scene of "Raiders of the Lost Ark" where the treasure is buried again, in storage somewhere, and lost again.